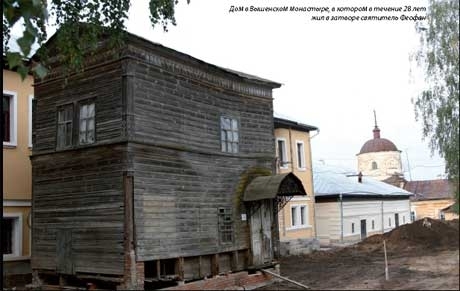 Consecrated Bishop of Tambov in 1859, Theophan was transferred to Vladimir in 1863. Three years later he resigned and became a recluse in a house at the Vyshensky Monastery in Vysha. During his 28 years as a recluse till his death, Theophan published several books on the spiritual life, and had a profound influence on the spiritual revival of society. "It seems he withdrew from the world, that from the height of his feat he could see more clearly the pressing needs and illnesses of our time and, if possible, to better provide the necessary assistance." He noted: "To write is the needed service of the Church. The best use of the gift to write and speak is to turn it to the admonition of sinners." 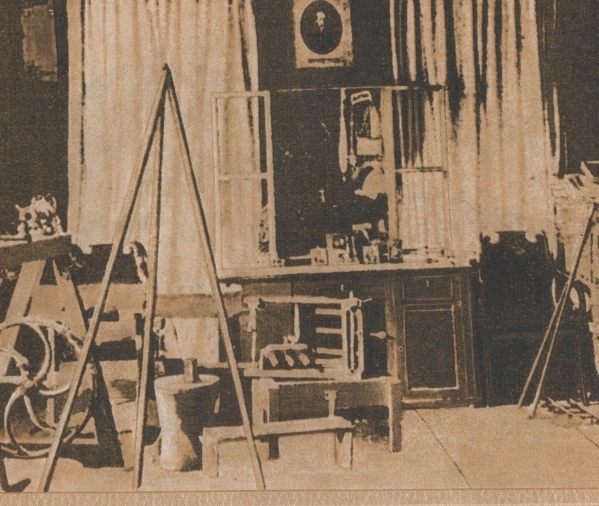 Everything was extremely simple in Bishop Theophan's cell. The walls were bare, the furniture old. There was a trunk with instruments for lathe-work, carpentry, bookbinding; photographic equipment, a bench for sawing, a joiner's bench, and numerous books written in Russian, Slavonic, Greek, French, German, and English. Among them were: a complete collection of the Holy Fathers; a theological encyclopaedia in French in 150 volumes, the works of the philosophers Hegel, Fichte, Jacobi, and others; works on natural history by Humboldt, Darwin, Fichte, and others. Bishop Theophan foresaw his death a year before it happened. Still he did not deviate from his daily routine of celebrating the Divine Liturgy in his chapel, which he dedicated to the Holy Theophany and was located in his living room, and sending to the post office a few letters in response to a variety of questions sent to him on the spiritual life. After Liturgy he had tea, then ate lunch at 1:00PM, then tea again at 4:00PM, and not long after he had dinner (fasting days were much more strict). Only five days before his death, on 1 January 1894, his normal schedule was somewhat disrupted. On the eve of his death, on January 5, sensing weakness, Bishop Theophan asked his cell-attendant (Evlampy, who served him for 25 years) to help him walk. The cell-attendant led him several times around the room, but the Saint, soon tired, sent him to bed. On the day of the death of Bishop Theophan, as usual, he celebrated the Divine Liturgy and then drank his morning tea, but he was late for dinner that evening. The cell-attendant looked into the study of the Saint and noticed that he was sitting and writing something, so he did not bother him to remind him. Half an hour later the Bishop went to dinner, but at dinner ate only half the usual: eggs and half a glass of milk. Without hearing a knock for the evening tea, his cell-attendant again looked into the room of the Saint at half past four and saw him lying on the bed. The cell-attendant thought at first that the Bishop was taking a nap, but still went to the bed sensing something else. Indeed, he found Bishop Theophan already deceased. Saint Theophan the Recluse reposed in peace in his house on January 6, 1894, on the Feast of the Theophany of our Lord, God and Savior Jesus Christ. Evlampy his cell-attendant fasted for ten days after Bishop Theophan's death, and died within two weeks of the Bishop. 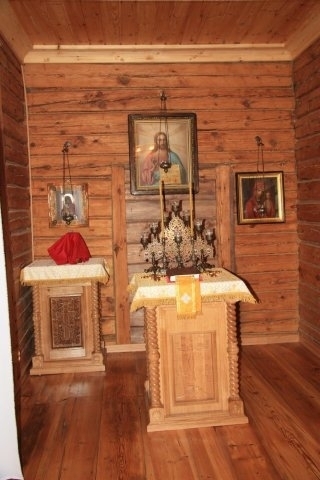 Saint Theophan's house was restored in 2011 for the edification of pilgrims.